For those who post videos in Facebook have good news. Facebook is working on a plan that provides money to the Facebook users who post videos. Many websites have written about this as there are advertisements in those videos and payment is made on the basis of views. Like YouTube, 45% of the total income will be owned by Facebook and the remaining 55% is earned by the user who posted the video. There is a condition set by Facebook where the video has to be produced by the one who posts it. Many people and companies who were professionally involved in developing videos for YouTube are excited by this plan. It is reported that more than 20 Crore photos are posted on Facebook daily. Likewise, the number of video posts is also increasing rapidly. 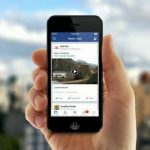 There is not a report regarding the duration of videos posted on Facebook but per day more than 4 Arab views is recorded. Facebook is providing free access to use Facebook for developing countries like Nepal. Very soon, the users of Nepal will also be able to access Facebook for free and that will increase more users in Nepal. Check also: How to Make Secure Facebook Account? There is a common belief that YouTube is the only video-sharing site. It will take Facebook some time to change this thought. A report tells that one in three Facebook users become dissatisfied after use. This may affect Facebook in the long run. According to Facebook, around 1 crore 44 crore users use Facebook. But in that figure, more than 3 crore users have already died but their accounts are still there. And more than 7 crore fake accounts. These figures are increasing. Videos are easier to search on YouTube due to which it is considered to be managed the library of videos. This facility is difficult to find on Facebook. In the context of Nepal, the videos of YouTube play faster. Facebook has problems in places where there is the slow internet. This can trouble Facebook. Facebook may provide more services and priorities to users whose countries have the larger potential of advertisements. In such condition, the new services bought by Facebook to Nepali video makers and companies will be illogical. It is challenging to make online transactions in Nepal. To invest in online and to earn are equally troublesome. So very limited Facebook users can only take benefit from it.